This page requires the Google Earth API, on Windows or Mac. Android/iPhone/Palm not yet supported. Sorry! 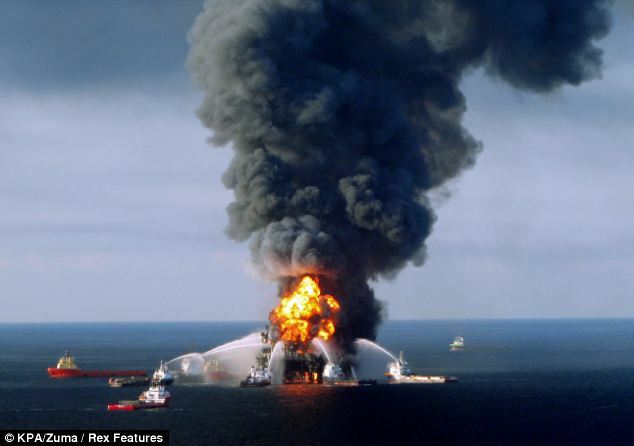 On April 20th, an explosion on the Deepwater Horizon left 17 workers injured and 11 missing and presumed dead. For over three months, oil spilled from a well 5000 feet below sea level, discharging over 500,000 gallons of crude oil a day (19,000 barrels), according to the USGS. It is estimated that more than 120 million gallons of crude oil have spewed into the Gulf so far. But how big is the spill, really? It's hard to get a sense of the true size when it's over the ocean floor. Use the links below to see how large the spill is. Oil spill data courtesy of the State of Louisiana, NOAA-NESDIS, and Pete Giencke.